Warning: Do not eat when you read this. lol. 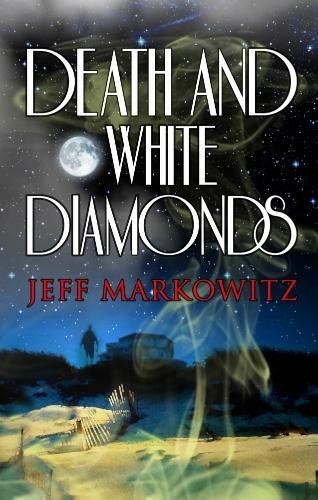 In Jeff Markowitz’s dark humorous murder mystery “Death and White Diamonds” we find Richie in an impossible situation: his co-worker Lorraine was lying dead on the beach and he woke to find he held a knife. Their romantic getaway wasn’t suppose to end in murder. He knew there was no way he could be responsible for what he witnessed. He had no knowledge of the nightmare before him, but knew he just became the prime suspect. So what is a “new lover” to do? He does it in the only way that comes to mind. Though he believes he’s innocent, the knife of justice just seems to inch its way further into his back. Instead of going to the authorities, he completes the task of removing her from the face of the earth so she can’t be identified. Richie’s situation only seems to get further complicated when his plan to scatter Lorraine’s remains into the lake receives a little more attention then he wanted. His choice of bait is a hit and a boat captain asks for a bucketful. This only leads to the truth. So know Richie’s life is further complicated with an even bigger involvement: the murder of the Captain and then the Captain’s mother when she notices the body in the trunk of the car. It would seem the simplest solution would be to scout out a vacant spot on the upper deck of a ferry and dump Lorraine over the side between Port Salmon and Rocky Point. His plan backfires, when he isn’t allowed in the hold to get his bag. If you think this is the end of an adventure on “the dark side,” you’re wrong. Richie gets himself in a whole lot of trouble and involves a number of other people along the way. I’m not a lover of dark humor, but there’s something about this book that draws you in. Maybe it’s how the characters were “crazy” in a normal kind of way. The plot is well paced. It’s gross on a whole new level of “what the Hell!” but funny at the same time. Jeff has an unusual sense of humor that has to be admired. He says it like it is and doesn’t hold back. The detective, a girlfriend of one of the victims, the two stupid dudes, all great characters. I don’t think I would have changed anything about this book, other than making it a movie. The installation of a genuine 18th century Chinese teahouse in the Gibbes Museum, in Charleston, began as a high society event. Local philanthropists were dressed formally, with the majority flaunting their wealth. For Indigo Tea Shop owner Theodosia Browning, the event, which was organized by her boyfriend, Max, made her proud. There is one major problem, though. One thing wasn’t planned: murder, and there is no way to soften the blow when a museum investor is the victim. Max also didn’t plan on Theo finding the body in the museum during the party. When Max is fired, Theo is determined to find the killer and set things back on track. Logically the first step in her investigation is the victim’s wife, for who would benefit the most from the estate? 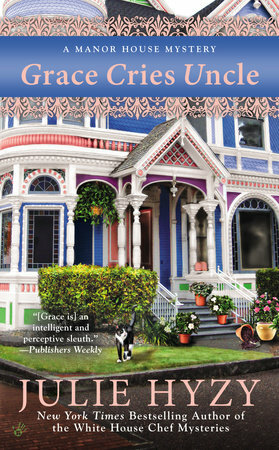 When Theo visits the home of the man murdered, she finds his widow, Charlotte, speaking with her late husband’s business partner. Charlotte informs Theo that they are considering the possibility of Datrex going public, which would significantly increase the company’s funds. Apparently, Charlotte’s husband didn’t want to go public. They were making plans before the man was even buried. In an effort to smooth over the awkwardness of moving ahead with an agenda, Charlotte hires Theo to handle the after-service reception for her late husband. What gets Max in even more trouble is an argument he had with the man who was murdered about having a private donor party instead of having an event open to the public. The entire confrontation seems to be exaggerated on purpose. 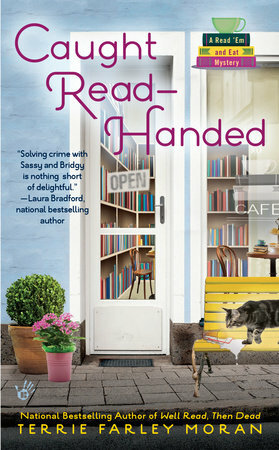 An open house at the victim’s girlfriend’s store turns into a fight with the widow and mistress. Not only does it cause a scene, it leads Theo to the fact that there are sharp woodworking tools in the store’s workshop. Ming Tea Murder has a lot going on and it’s pretty interesting. 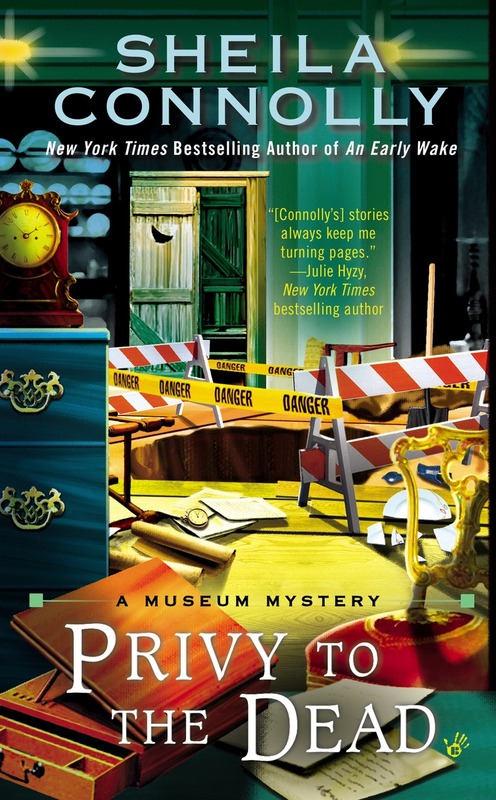 Not only do you have a hard working business woman, but she’s pretty good as an amateur sleuth. The author does a good job of leading you through a maze of possible suspects, not making the guilty person obvious. The only that I wonder about is where the victim was murdered. Can it be done in a public place and how do you hide the weapon? I continue to be a Laura Child’s fan. Have you ever read a book that contained a main character whose name changed part way through? Well, if you haven’t and you’re a big reader there’s a chance you’ll still come upon this phenomenon. Other things too, eye color, hair length, etc. It’s one of the bizarre things that happens when you’re writing a story. A detail will change on its own – yes, on its own. Wait. The writer is in control, isn’t she? There’s typically only one person at the keyboard when the characters and chapters are being born, so it must be the author’s fault, right? Or what about the editor’s fault? Shouldn’t we blame them? A character made up of only words on a screen can’t possibly have a shape shifting superpower that blinds everyone to its changes. Well, that’s technically correct, however . . .
That thing that takes over and makes the changes isn’t any sort of fantastical creature, but there’s something mystical – or at least mystifying – about the spontaneous evolutions, and sometimes it feels like magic is at work. Characters change. Maybe there’s a revelation, or a turning point, and suddenly they become different. However solid they might have been in the writer’s mind, something in the story or setting changes them so profoundly that there’s no going back to seeing them how they used to be. It’s a vague explanation but that’s why writers miss the difference. Even though they go back and edit the book again and again, there’s no way for them to see the person or the detail they created any other way than the most recent way they exist – their true from, in the writer’s mind. That’s what happens to some editors too – they get in the middle of the transforming moment and they can’t go back either. So, why doesn’t that happen with readers? Why can reader catch even the smallest differences when all the previous read-throughs didn’t? I think it’s a couple things. One, readers are smart. It’s a pretty general statement, but I happen to believe that if you read you’re smart. Not saying non-readers aren’t smart, but just being a reader is one of those indicators that is pretty reliable most of the time. The other reason is because readers are reading with fresh and eager eyes that don’t want to be critical; they just want to enjoy. It’s always interesting what you discover when you aren’t looking. Thanks for letting me stop by today. See you in the bookstores. While Georgia has come to love her new hometown, her stained glass windows haven’t exactly been raking in the dough. So when her best friend, Carrie, offers her the opportunity to create a made-to-order window for Wenwood’s latest bed and breakfast, Georgia jumps at the chance. You’re welcome. You have a few books coming out this Spring. Can you tell us about them? Yes, I have three actually. 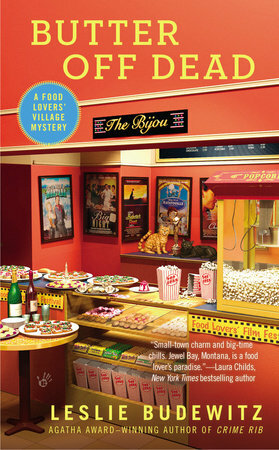 The end of April, “OH SAY CAN YOU FUDGE” – the third in the Candy-Coated Mystery series with Kensington came out. 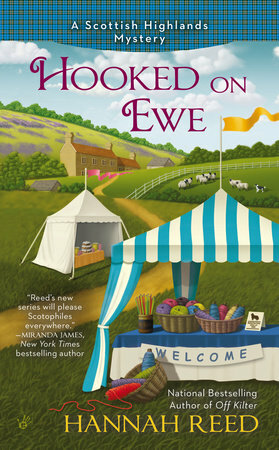 This story takes place on Mackinac Island on the 4th of July. 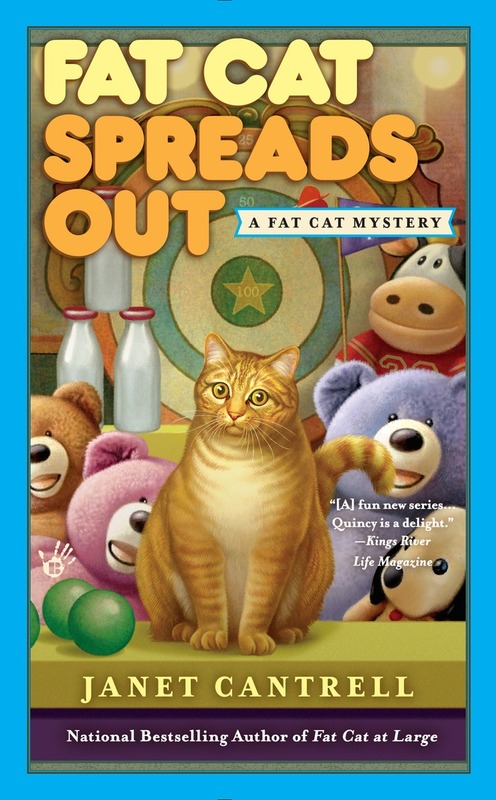 The book begins with a bang as Allie, fudge maker and amateur sleuth, gets a call from the pyro tech in charge of the island’s three firework shows asking her to meet him at the warehouse where the fireworks are stored. She discovers him dead just before the entire warehouse goes up in smoke. Allie must scramble to find a new pyro tech or the Mackinac Island’s Star Spangled Fourth will be ruined. The first week of May, “FLOURLESS TO STOP HIM” arrived. 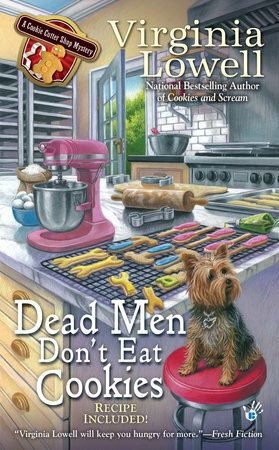 The third in the Gluten-free Baker’s Treat series, It’s Christmas time and we find protagonist Toni Holme’s brother Tim implicated in his best friend’s murder. 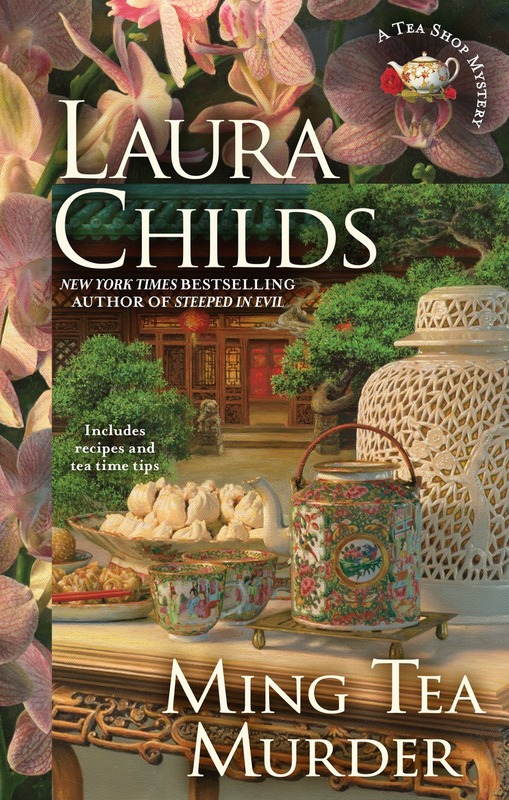 Toni must choose between helping her brother prove his innocence and saving her bakery. The first week of June, “BODICE OF EVIDENCE” arrived. This is the second in the Perfect Proposal series. 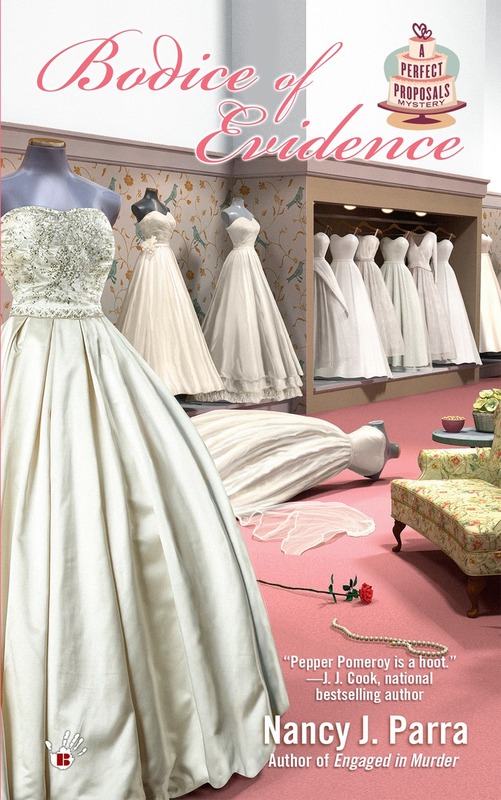 Pepper Pomeroy, owner of Perfect Proposals, discovers the owner of a wedding dress shop stabbed to death in the alley behind her shop. 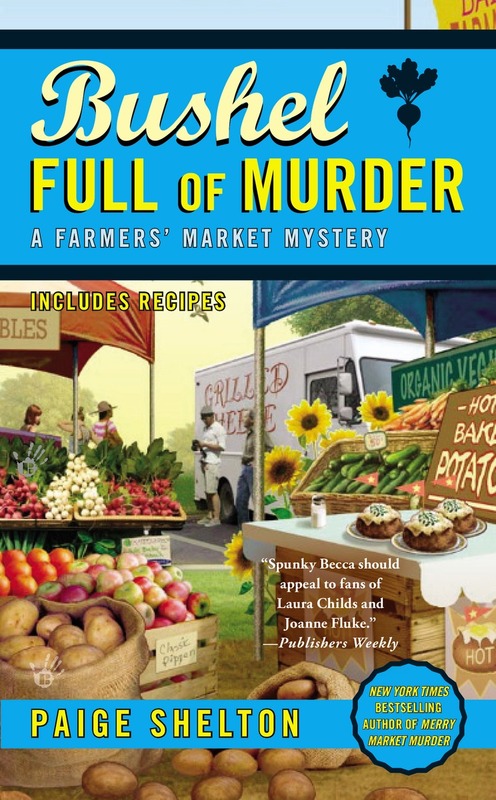 Pepper steps in to help figure out who the killer is while helping her sister plan her wedding and getting her fledgling proposal planning business off the ground. Wow! That’s a lot of murder and mayhem. *laughs* Yes it is, but it’s also fun who dunnit puzzles. Everyone wants to know how do you come up with your ideas? I put myself in the protagonist shoes and look at her community, friends and family. Then I throw a dead body into the mix and give her a compelling reason to investigate. After that, it’s a matter of following clues and find the killer before it’s too late. Have you ever killed off anyone you knew in your books? Ha! No. 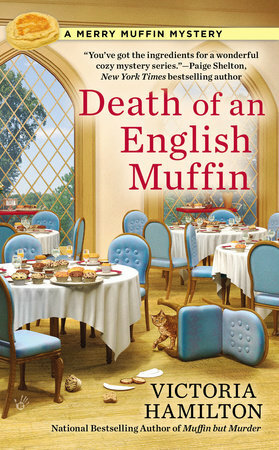 You’d be surprised, though, how many people ask if I would kill them off in a novel. I certainly am surprised. With three books out this Spring, is there anything else on your plate for 2015? I have an e-novella coming out the end of October. 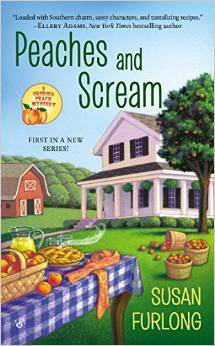 It’s part of the Candy-Coated series, but this one is told from the point of view of Allie’s best friend Jenn. I think it’s a lot of fun. Our last and most important question. Will there be recipes? Of course! There is nothing better than fudge for the holidays, except maybe gluten-free cookies. Thanks for stopping by, I know I’ve got these titles on my books to get list. I’m lucky enough to have a home office. With a window. Of course, I keep the shade down most of the way so I won’t get distracted by a bird, or someone walking their dog, or a moving leaf. And my neighbor’s house is right there, so I don’t want to be caught looking out the window thinking about my next plot move and have them wonder why I’m staring at them through their window. My desk is a mess, and my office has become the place we put stuff that has no other home. In short, it’s a minor disaster area. But I’ve found that I write best in my little disaster area. My laptop and blue tooth keyboard fit squarely in between my To Do pile on the right and my writing notes on the left. My three hole punch on the right and my stapler and pen holder on the left. My super-sized coffee cup on the right and my water cup on the left. And my basket of fuzzy socks underneath. I occasionally attempt to clean my office, but it doesn’t take long to get back to this equilibrium of piles of books and papers vs. space to walk. My writing process is a little like my office. It consists of first checking email, seeing what’s new on Facebook (many times, like a teenager who keeps opening the refrigerator to see if any new food has magically appeared), listening to my “get psyched for writing” playlist on iTunes, and then figuring out what’s next in my book. I often write the fun scenes first, even if they’re out of order, and then scramble later to fit them all together. Sometimes, I get frustrated with my writing progress and blame it on being stuck in my office for too long. And so I go in search of a different place to write. I’ve tried working at the library, which has better hours now that the city budget crisis has lessened. But it has other people in it, some of whom want to share my table! Or make noise! Or *gasp* walk behind me where they might possibly see my book! Every once in a while, I try the local Starbucks, but I’ve had to admit to myself that’s just an excuse to pick up a venti, nonfat, no sugar added mocha Frappuccino. Even with headphones, I get distracted by the conversations around me and the people coming and going. I get impatient at the too small table and the too hot or too cold temperature. So I head home. To my messy desk in my messy office. I plop my laptop back where it belongs and get to work. 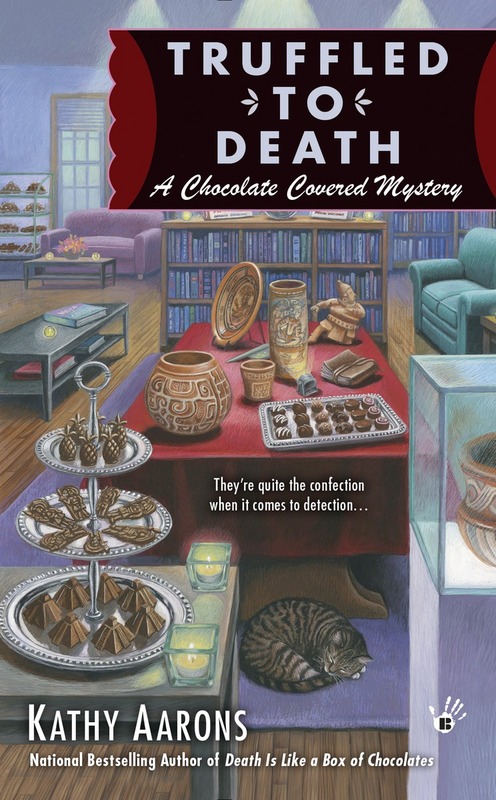 Kathy Aarons is the author of Truffled to Death, second in the CHOCOLATE COVERED MYSTERY series by Berkley Prime Crime. 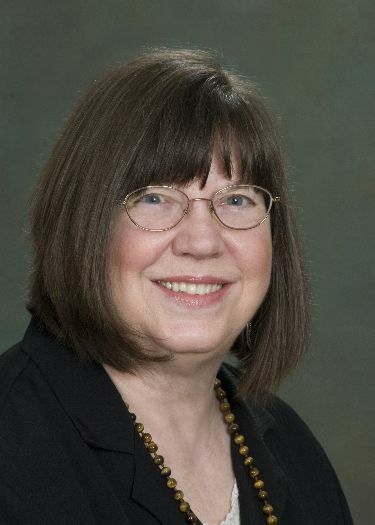 Her first book, Death Is Like a Box of Chocolates, was a national bestseller. Research for the series was a hardship: sampling chocolate, making chocolate, sampling more chocolate, and hanging out in bookstores. 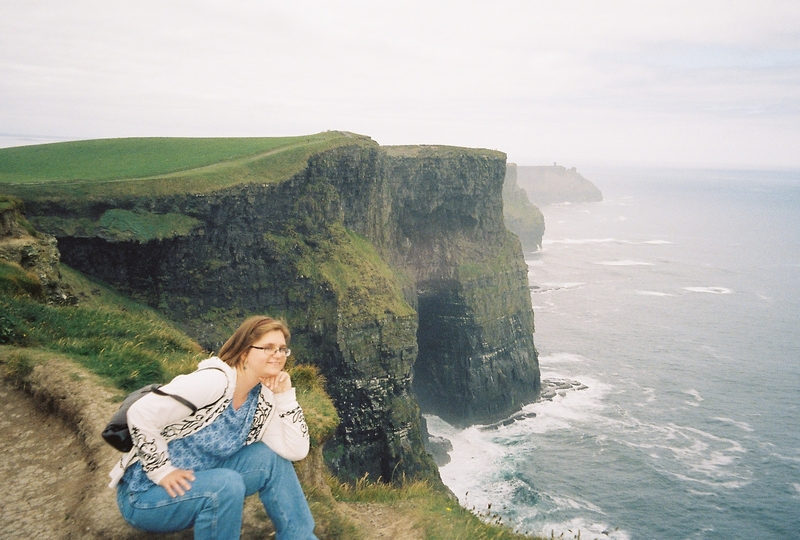 Kathy lives in San Diego with her husband and two daughters where she wakes up far too early and is currently obsessed with the Broadway Idiot documentary, finding the perfect cup of coffee, and Dallmann’s Sea Salt Caramels. Who says that an addiction has to be a bad thing? 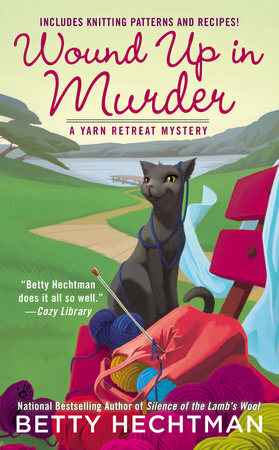 Let’s face it: cozy mysteries definitely have the ability to hook us and pull us in. There’s nothing better at the end of a long day than to wind down with a good book. Or during a lunch break. Or while having a mid-morning snack. Two words: quirky characters. Whether it’s the sidekick or one of the suspects, it’s fun to spend time with someone who walks to the beat of a different drummer. Discovering another amazing recipe to add to our collection. 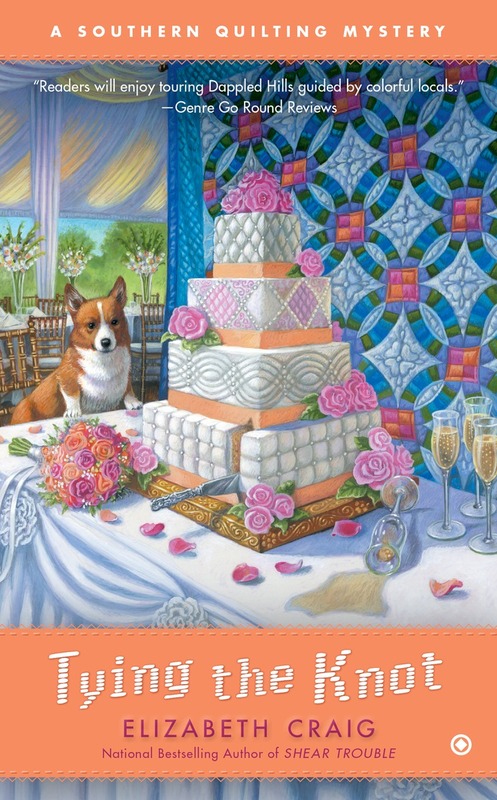 Is it just me, or does your stomach growl when you read cozy mysteries? I’ve read about picnics, barbeques, and potlucks where the food was so vividly described that I could practically taste it. Wondering whether there will be a second victim and hoping it will be that really irritating character. You know the one. And if the really irritating character isn’t the victim, you hope she’ll end up being the killer. Because there’s got to be some sort of justice. That interactive feeling we get when we feel like we’re investigating alongside the sleuth. I get so immersed in the story that I feel like I need to clock in and clock out because I’m a real investigator. Feeling smug when we’ve figured out whodunit. Isn’t that the best feeling? We’ve thought of some clue back on page 27 that now has special significance. We’ve connected the clue to a suspect and we know the perp! That baffled delight when we realize we got the killer completely wrong. And then having all the clues, the motive, and the puzzling bits fall right into place. 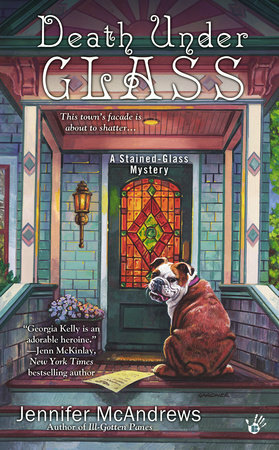 What draws you to cozy mysteries? 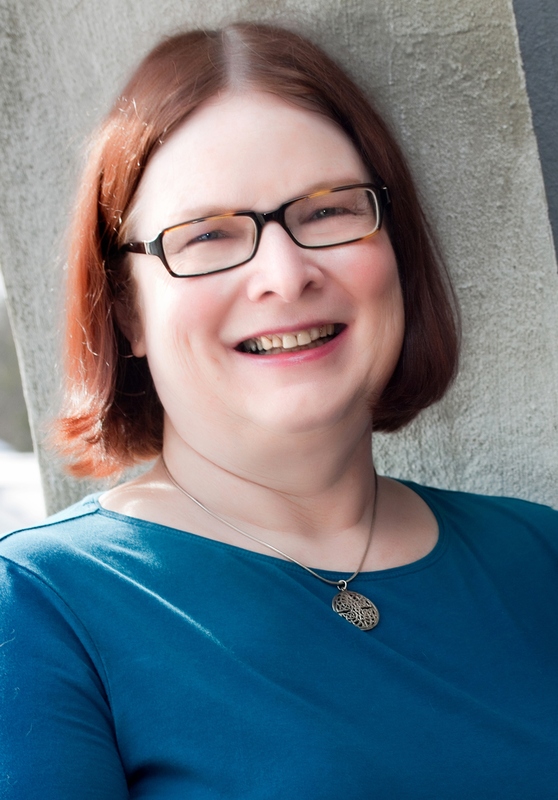 About the author: Elizabeth writes the Southern Quilting mysteries. 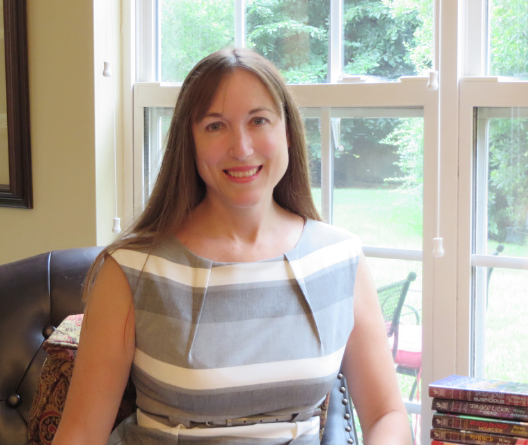 She lives in Matthews, North Carolina, with her husband and two teenage children. 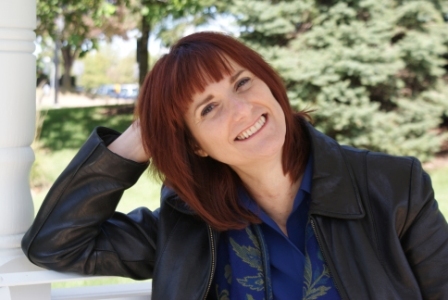 To receive a free ebook, book updates, and recipes, sign up for her newsletter at http://eepurl.com/kCy5j , or by visiting her website.